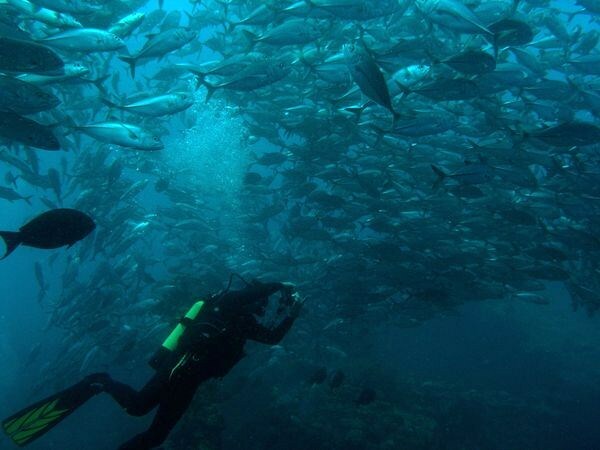 Bali offers an exceptional diving experience for all levels of divers, and a multitude of dive sites. Dives on shipwrecks, vertical drop-offs, sand slopes, along deep coral covered ridges or over sea grass beds, Bali can offer it all. Bali’s Diving Centers accept certificates PADI, SSI, IANTD etc. For diving in Bali, the quality of diver’s training, experience and respect for the underwater world is important. Dive sites in Bali are varied. We recommend everyone use a professional guide who can plan dives according to current conditions and the experience of the group. A good diving guide has overview of underwater life and can show you things that the ordinary visitor is likely to miss. This Indo - Pacific region, the world's richest marine bio-geographical region, runs from the Red Sea to the West Coast of South America. Smack in the center of this vast area is Indonesia where the Pacific meets the Indian Ocean. Biologists studying species distribution have placed the very epicenter of this marine richness in an area called the "magic triangle". Forming the corners of this biological marvel are the tip of the Southern Philippines to the north, Bali to the east and Western New Guinea. This region alone encompasses the richest diversity of marine fauna on the planet. Over eighty genera of coral and perhaps twenty five hundred species of fish! In Bali’s ocean live three times more species than for example in the Red Sea. This difference you see as soon as you look under water. Coral reefs are occupied with abundant marine life and sometimes you swim through “fish soup”. Giant gropers, over 1 meter long parrotfish, silvertip, blacktip, thresher and spotted wobbegong sharks, morays, ray fish, mantas and sunfish represent some of the bigger species we can meet routinely in Bali. Underwater photography or video together with field guidebook can open you new dimension of diving.